What are The Must Know Technical Terms Used in Forex Industry That I Should Know ? What is Pip in Forex ? Pip stands for percentage in point or price interest point. Basically, pip is a standardized unit for the smallest movement that can occur at a price of the pair of currency. Most of the pip values are equivalent to 0.0001 as the price of the currency is measured up to the 4th decimal place. What is Spread in Forex ? 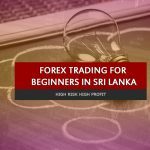 Usually, many forex brokers in Sri Lanka use spreads to figure out their portions of earnings. In the forex market, a spread is defined as the difference in ‘Ask’ price and ‘Bid’ price of a pair of currency like EUR/USD. A spread is one of the easiest ways to pay the transaction cost to the brokers. For example, EUR/USD has been priced at 1.1499 and the trading broker offer to buy it at 1.1500 and to sell it at 1.1498. The main reason behind this is the supply and demand of the currency pair. For example, dollars are high in demand so brokers do not need to charge higher spread from the trader as they would have no problem selling off the dollar currency in the market. On the other hand, if it is a currency is not in higher demand and brokers might have the problem selling it off quickly, they might charge higher spread as brokers will be taking the bigger risk. It is recommended for the individual traders that they do not buy or sell currencies with low demand. Leverage comprises of borrowing ( not actually borrowing something but in order to understand it, will consider it as a borrowing ) a definite amount of the money which is required to invest in something. 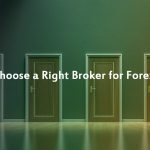 In forex trading, usually, the money is acquired from a forex broker. Forex trading does not require a bigger leverage as with a small initial margin, a trader can create, control and manage a large amount of money. Forex trading is a lot more popular as compared to trading in other financial instruments because, in the forex trading, you can acquire a bigger amount with very small investment as compared to trading in other securities. With low leverage, new traders can hold up in the forex market during the initial stages. What is Margin in Forex ? A margin is a deposit made by traders in the forex margin account as collateral to open a trading position in the forex market. Generally, the investors borrow a short-term loan from the forex broker. 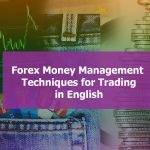 In order to be able to do the trading in the forex market, first, an investor must deposit money into the margin account and then start the trading. The main objective behind a margin account is to increase the borrowing in order to increase the return on investment. The margin accounts are managed by the brokers of the investors and settled in cash on an everyday basis. What is Commission in Forex ? When trading in the forex market, commissions are a very important part of it. In general, commissions are paid to the brokers and dealers for their services in forex trading in relation to the spread, which is the difference between ask and bid price of a pair of currency. When you are trading in the forex market, it doesn’t matter whether you make profit or loss, the first thing that will be deducted from your trading account will be the commission of the broker charged for the transaction. However, the commission may variegate based on the volume of the transaction. Larger the volume of the transaction, higher will be the commission charged by the broker. What is Swap in Forex ? A swap is a type of currency swap in forex trading. It is a mutual agreement that takes place between two parties who agree to exchange one currency of a particular amount with another currency of the same amount based on the current spot rate. Then at a specified date in future, the two parties will return the original amounts at a specified forward rate. What is Bid and Ask Price in Forex ? In forex trading, the bid price is that price at which market participants are ready to buy a specific pair of foreign currency in the market. Similarly, ask price is that price at which market participants are ready to sell a pair of foreign currency in the market. What is Lot Size in Forex ? In the past, currencies were bought and sold in specific amounts known as lots. The regular size of a lot is 100,000 units. Nevertheless, with technological development in the last decade or so, forex brokers have begun to offer small size lots as well. There are also mini-lots of 10,000 and micro-lots of 1,000. A lot size can be divided into 3 categories, micro, mini, and standard. A micro lot contains 1,000 units, a mini lot contains 10,000 units, and a standard lot contains 100,000 units. What are Order Types in Forex ? Market execution - These orders are placed and executed immediately at the current market price. Pending order - A pending order is the order which has been listed but has not yet executed to become a complete trade. Buy stop - In buy stop order, the trader tells his or her broker to purchase a currency when it touches a strike price, which would be higher than the current price. 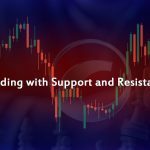 Take Profit & Stop Loss - Take profit and stop loss levels are employed by forex traders in order to safeguard themselves against the unexpected financial losses and make profits. Sell Stop - In this order, the broker is instructed to sell a currency if its market price goes below a particular level. Buy limit - In this order, the broker is instructed to purchase a currency if its market price reaches a particular level or goes below it. Sell limit - It is an order where forex trader, on behalf of his or her client, sell a particular currency when the market price of the currency rises to a certain point or above that.